I personally has suggested to Chris to check out LMNts plug-in that I remember using few years ago that would do just that. Ps. Shout-out to Tim Logan! I seem to be running into stuff that he has created and shared with others at no charge ALL THE TIME. That’s amazing. Keep up the good work. Anyways, Chris’ response was that he is more interested in learning how to make one himself than to depend on others. I totally agree with that statement, and seeing how LMNts hasn’t yet released a version of this plug-in for 2016 I decided to do so myself. How to install it: This part is also explained on LMNts website but I will quote it here for clarity. Keep in mind that this tool is being released “AS IS” and being licensed under GNU General Public License. 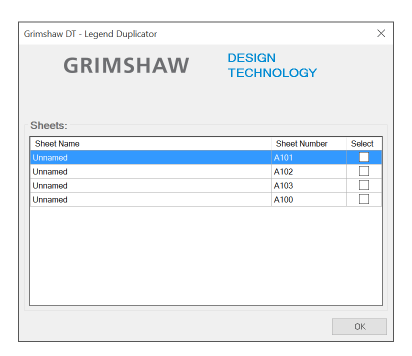 LegendDuplicator is free software; you can redistribute it and/or modify it under the terms of the GNU General Public License as published by the Free Software Foundation; either version 3 of the License, or (at your option) any later version. LegendDuplicator is distributed in the hope that it will be useful, but WITHOUT ANY WARRANTY; without even the implied warranty of MERCHANTABILITY or FITNESS FOR A PARTICULAR PURPOSE. See the GNU General Public License for more details. Ps. I only tested this sparingly, so feel free to let me know if it breaks in certain cases. I am open to suggestions. Also, I am not a programmer so if you feel like I am violating some unspoken programming rule anywhere within my code, go ahead and let me know. :-) Enjoy! Ps2. I got that license stuff from Mostapha Sadeghipour Roudsari’s GitHub page – thanks!